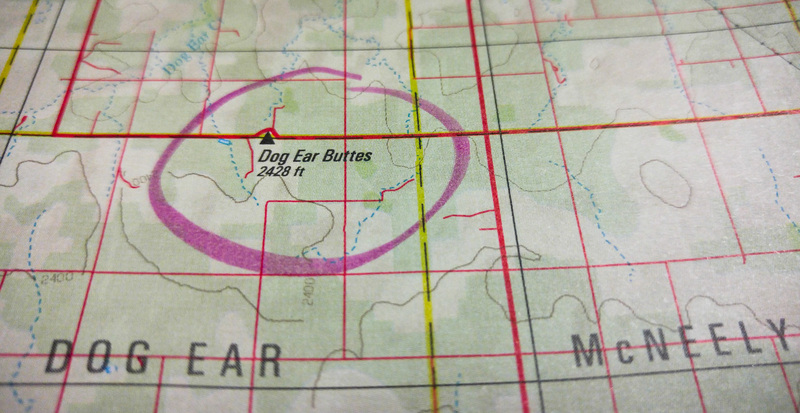 I’ll wager that the Dog Ear Buttes of South Dakota rarely appear on anyone’s vacation sightseeing list. I only know of them because of my love for driving on gravel roads and my habit of scanning atlases for potentially interesting geographical features. 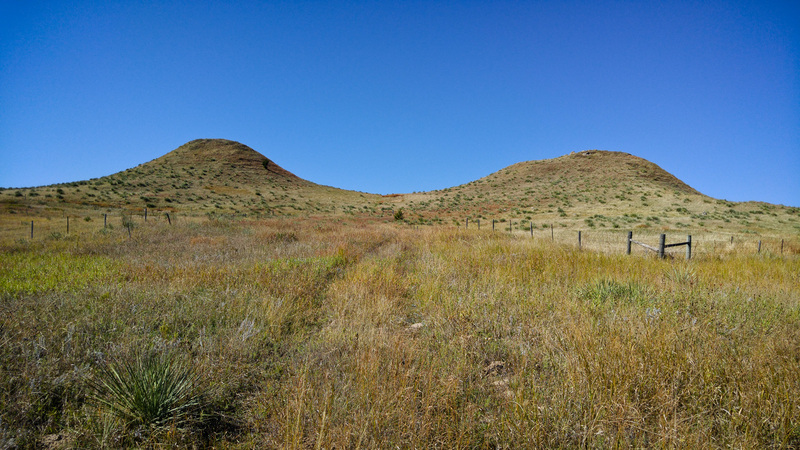 These two relatively small mounds, south of the town of Winner, certainly stand out in an otherwise flat expanse of prairie studded with cows and the occasional farmhouse. I first visited the buttes several years ago and I went back again this past October. The place is still as peaceful and idyllic as I remember. This a prime example of the kind of thing I’ll see from the driver’s seat and will feel a strong desire to park the car and climb to the top. Sadly, as is the case in most of these situations, the buttes are fenced off on private land. Perhaps on my next visit, I’ll track down the landowner and ask for permission to cross the fence and hike to the summits. I’d truly enjoy living close to something like this so I could walk to the top each day to enjoy the view. Man, that’s the life. 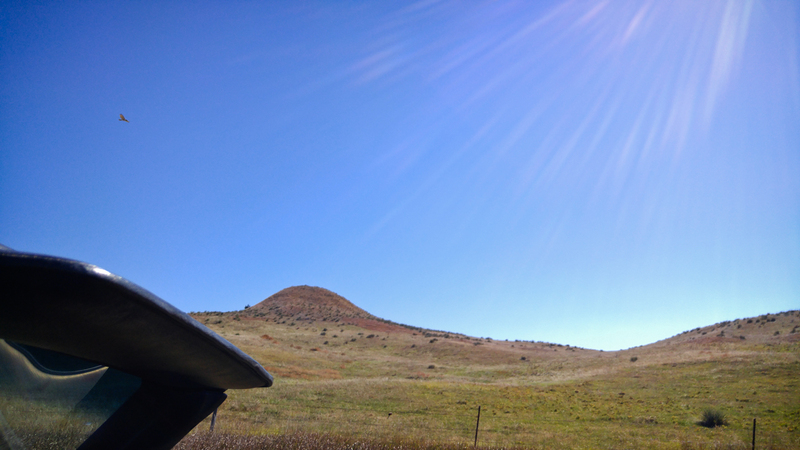 This entry was posted in Exploration and tagged Back roads, Big Sky, Cow, Dirt roads, Driving, Grassland, Hawk, Hills, LeMans, Plains, Pontiac, Prairie, South Dakota. Bookmark the permalink.